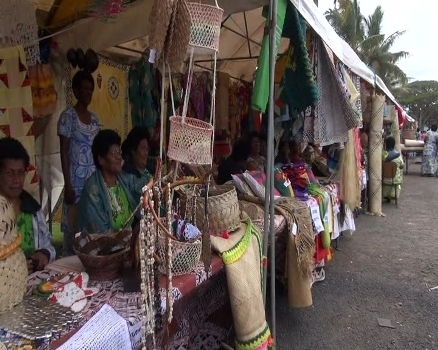 About 600 female artisans, farmers and small business entrepreneurs particularly from the rural areas, are selling their products and handicrafts at the Central Division Craft show underway in Suva. Minister for Women, Children and Poverty Alleviation – Rosy Akbar says she’s overwhelmed with the turnout and the interest shown by the vendors and the buyers. ‘’The event here today will provide an opportunity to the women present here to showcase their talents and make a mark in the October women’s expo’’. Women vendors from Naitasiri, Rewa, Beqa, Namosi, Serua and Tailevu are hoping to learn new entrepreneurial skills at the craft show. Participants will be judged by the Fiji Arts Council and winners will get an opportunity to part in the October Expo as well as receive training opportunities overseas.